This is another one of my favorite dessert recipes I made for the bake sale. 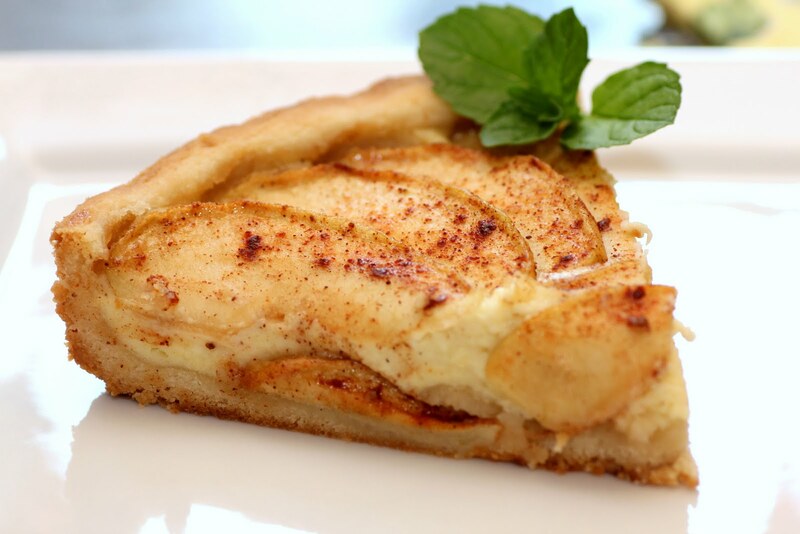 It is a super amazing pastry that has a layer of apples over like a creamy custard or cheesecake filling. I like to add a little more cinnamon over the apples after layering on the filling. It just makes it look a little prettier, plus I love cinnamon. Also, a quick tip to help make this recipe a little easier, peel your apples just like you would peel a potato. You might have to make a little cut in the apple to get started, but it is so much easier and faster then trying to do it with a knife. Overall, this is probably one of the absolute best recipes I’ve ever had! It has so much flavor! Hope you like it!! P.S. I totally forgot to add this before! When making the crust, the original recipe really doesn’t make enough for a 9 inch pan. Plus the crust is my favorite part! So when you make the crust recipe you really should make 1 1/2 for one torte. So, 1 1/2 sticks of butter, 1/3 cup and 3 tablespoons sugar, I just did 1/2 teaspoon vanilla and 1 1/2 cup flour. Preheat oven to 450 degrees. 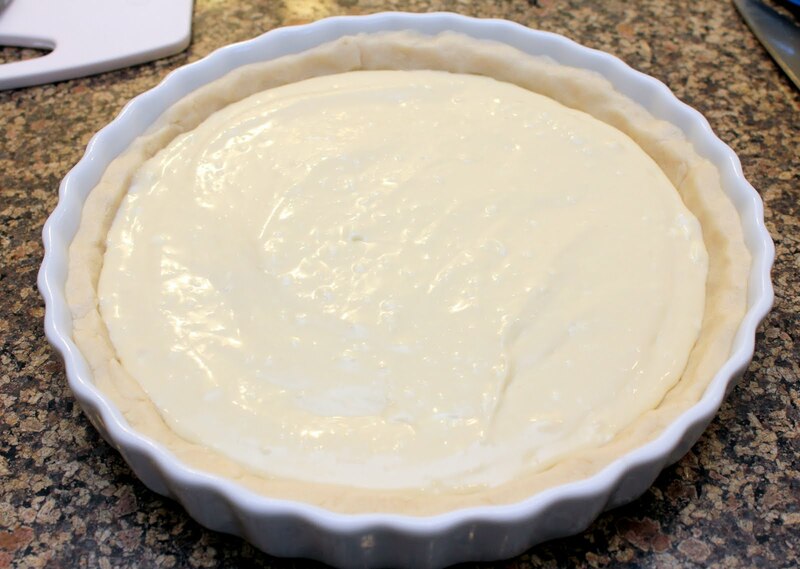 To prepare crust, cream the butter and sugar. Mix in 1/4 teaspoon vanilla. Add the flour and mix well. Press onto the bottom and 2 inches up the sides of a greased 9 inch spring-form pan. In a medium bowl combine the softened cream cheese and sugar. Add the egg and vanilla, mix well. Spread evenly over the crust. In a bowl, sprinkle the sugar and cinnamon over the apples. Toss well. Spoon or layer the apples over the filling. If desired sprinkle a little bit of cinnamon over the apples. Bake at 450 degrees for 10 minutes. Reduce the temperature to 400 degrees and bake the torte for 20 to 25 minutes longer. Cool before removing from the pan.